I'm loving this light! I have it above my master bathtub by a window. In the afternoon it catches the light of the sun and casts little rainbows all around the room - very pretty! It is elegant and classy but not obnoxiously so. This stunning 3-light Flush Mount Ceiling Light only uses the best quality material and workmanship ensuring a beautiful heirloom quality piece. 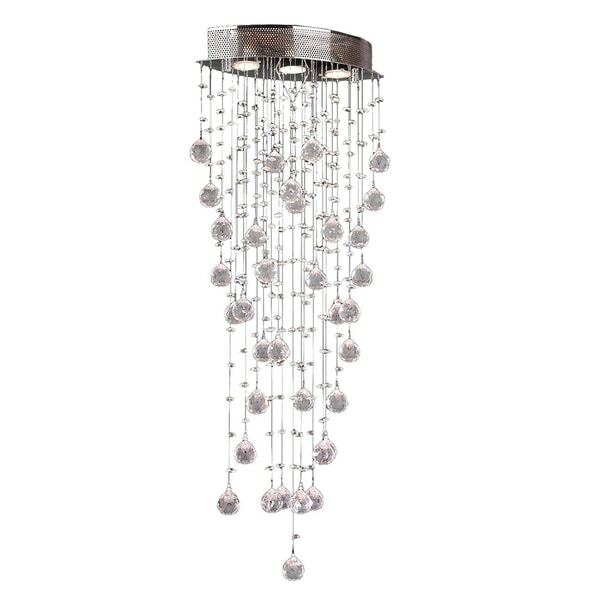 Featuring a thick drape of premium grade 1.5 inches clear crystal ball prism spilling downward from a radiant chrome finish rectangle shade, this elegant ceiling light will give any room sparkle and glamour. Dimensions 8.0 In. X 16.0 In. X 40.0 In.